W. L. Nicholson, son of L. C. Nicholson, Olney, husband of Edith Hodges, Ft. Worth. 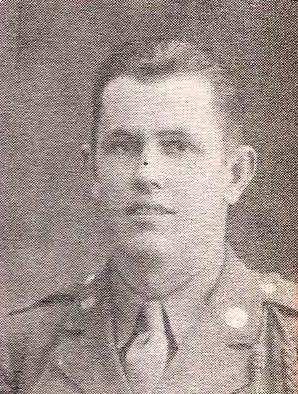 Entered Army in 1942, trained at Camp Wolters, Texas and Camp Reynolds, Penn. Served in Africa, Sicily, England and France. Awarded GC Medal, ETO Ribbon with 2 Stars and Purple Heart. Killed in 1944, in St. Lo. France.